Is Ferrari 330 GT 2 + 2 Shooting Brake the best example of these bodies? The Ferrari 330 GT 2 + 2 Shooting Brake, designed by the American team of Bob Peak and Luigi Chinetti Jnr, was built by the famous Italian coachbuilders of Vignale. Only one was made and, fatefully, it was the last car conceived by Alfredo Vignale, who died tragically in a car accident. The basis of this model was the Ferrari 330 GT 2 + 2, a car launched in 1964 as an evolution of the 330 America, with quad headlights, an extended grille and a wheelbase of 50 mm longer. A year later, in 1965, a revised version was launched with a more traditional double headlamp, alloy wheels instead of the original spokes, a five-speed gearbox and options such as air conditioning or power steering. This car became very famous for the fact that it became John Lennon’s first car. Legend has it that in February 1965 word spread in London that the Beatles musician had just passed his driving test. Like any other young millionaire, he became a target for luxury car sellers, who appeared in his stunning house in Weybridge, Surrey, with his best units. Only a Ferrari dealer thought that, since Lennon had a small son (Julian) it was better a car with 2 + 2 seats than the two-seater coupes that took the rest. He was right and closed his sale to John Lennon. On the one hand was Bob Peak, a famous American commercial illustrator who created posters of such famous films as West Side Story, Star Trek, Superman, The Spy Who Loved Me or Apocalypse Now. On the other Luigi Chinetti Jnr, son of the famous Ferrari importer, Luigi Chinetti, who despite being raised between sports and drivers, began his career sweeping the dealership, before making his way to become a racing driver and car designer. 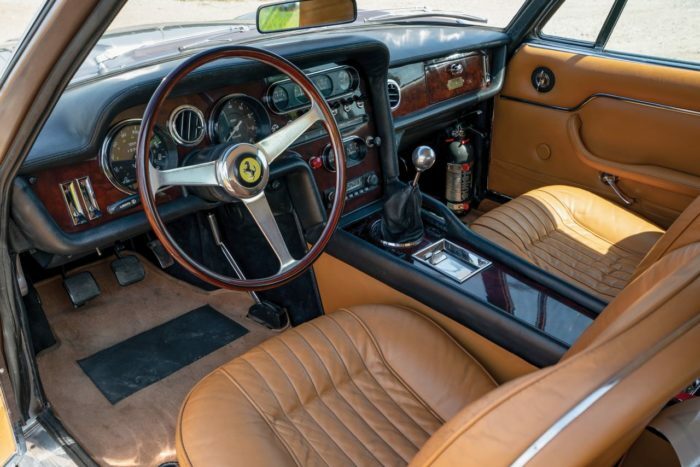 His company did not fit, but they left for posterity this Ferrari 330 GT 2 + 2 Shooting Brake, a very avant-garde design for the time, much more modern than the Ferrari 330 GT 2 + 2 on which it was based. The car was shown for the first time in the Turin Salon of 196, where it caused a sensation. I barely shared with the Ferrari from which part of each door and windshield. The rest of the lines seemed to come a decade earlier. The way to hide their four headlights behind some slats, which extend to the front wing, with a tiny bumper under them, is something that had not been seen until then. It was also extraordinary the series of ventilation holes that appear from the center line of the door, on the roof. Already in the rear, the glass door could open a resource that would use the Volvo 1800 ES years later. 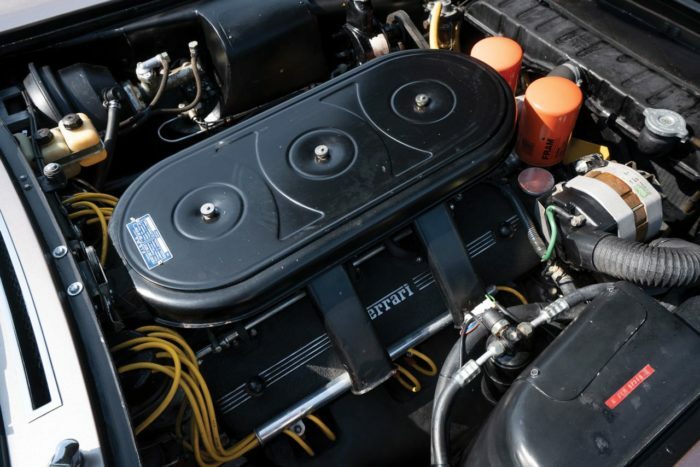 Under the hood, the Ferrari 330 GT 2 + 2 Shooting Brake had the same SOHC V12 engine of 3,967 cc than the normal 330 GT, with three Weber double throat carburetors, which delivered 300 HP at 6,600 rpm through a manual gearbox of 5 speeds. The unique car has attracted many collectors in recent times and in fact Jay Kay took it for a while. 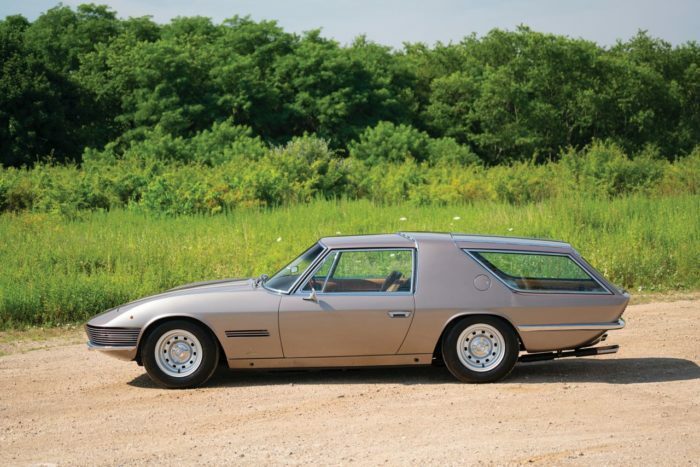 Now that it seems that the interest and popularity of the Shooting Brake has returned (eye on Kia’s Proceed) it comes out again in numerous articles on this type of body, which always point to it as one of the best examples of these cars in history. Maybe that’s why it’s back for sale again. Within a month, on December 8, it will be likely change hands at the auction of RM Sotheby at the Petersen Automotive Museum.